After a wreck, we’re here to help. We all know how upsetting a car crash can be. That’s why we do all we can to make your experience a pleasant one. Our expert technicians do top quality work on your vehicle to get you moving as soon as possible. We handle your insurance claim so you can have the peace of mind of knowing all your bases are covered. Auto body painting that’s done right. We use only state-of-the-art technology and green-friendly, OEM recommended paints on your car. 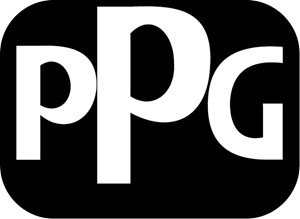 All our technicians are PPG certified experts who are passionate about their work. Our paints are matched specifically by our computerized system to give your car’s body the perfect finish! Complete auto custom detailing. We provide the best detailing services in the Dayton area. Our business has been around since 1938 and we now have a brand new, state-of-the-art facility for your convenience. Come check us out and experience the magic of our detailing work. We can pick you up. Our details are the best anywhere! Get your vehicle restored Our commitment to you is that you’ll leave our place with a smile, and a car that feels like new again! Call or stop by today and learn more about how our professional technicians can help you. Our convenient location provides us with easy access to highway. Whenever you have a problem, you can contact us, and we’ll fix it. Our primary goal is to provide exceptional service, and satisfy your needs as a customer. We are known in the community for our top quality service, quick turnaround, and attention to detail. 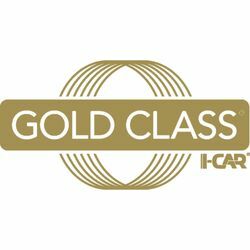 Our I-Car Gold status serves to reinforce that model. The new, state-of-the-art Thoma facility in Dayton is equipped for expert repairs on all makes and models. We service your vehicles, and take care of you while you wait! Relax in our brand new waiting room, and help yourself to snacks or beverages! Was immediately greeted with a smile. After my vehicle had been assessed I was offered a tour of the shop without even asking, some of the best customer service around. Chris one of the guys there showed me around the shop and was extremely polite and knowledgeable. Fantastic pricing and the best customer service! I would highly recommend for any auto body repair! Our daughter was travelling to Dayton, OH for a wedding and got into a bit of an accident. We were 10 hours away and not sure what to do. I found Thoma Auto Body online and gave them a call on a Friday night at 6 p.m. The owner, Mick, was still there and was so helpful. He said he would even stay there and wait for our daughter to bring the car over if she could get out of the wedding. They looked over the car and made sure it was safe to drive the 10 hours home. Most importantly, I felt like we found someone who was honest & safe. Thank you so much for your kindness and professional courtesy!! I would highly recommend Thoma Auto Body to anyone who needs this type of service. They did a great job repairing my car-customer service was wonderful! Everyone was professional and friendly and the price was exactly as good estimated.